If you have invested money in a sprinkler system in the past, it is extremely important that you continue to take care of it throughout the seasons. This means, when fall rolls around that you begin preparing for winter. Just because your sprinkler system is underground, doesn’t mean you can just not worry about it. Your sprinkler system does a lot for your lawn throughout the spring and summer, so why not pay it the attention it deserves when there is frost and snow on the ground. With that said, it is extremely important that you hire a professional lawn care company to perform a sprinkler blowout on your sprinkler system before it’s too late in the season! WHY IS A SPRINKLER BLOWOUT IMPORTANT IN NEW JERSEY? A sprinkler blowout is important because it prevents the pipes in your irrigation system from freezing with water still inside of them. Without having a sprinkler blowout, you will likely ruin your entire system, as water left in the pipes with expand when frozen and crack the underground pipes that are a part of your sprinkler system. This will be extremely costly for you to fix, even if the damage is minimal. The worst case scenario may leave you to replace your entire irrigation system. Not ideal, right? WHAT HAPPENS WHEN WE BLOWOUT YOUR SPRINKLER SYSTEM? When you hire an irrigation technician to blowout your sprinkler system, they will do so by attaching an air compressor to your sprinkler system. This compressor is used to blow all of the air out of your system. Pretty simple, yeah? As simple as the process is, we cannot reiterate how many people end up kicking themselves when spring rolls around. Due to not having this service completed, their sprinkler systems no longer works the way it should. Cracks pipes have led to multiple leaks which prevent all the water they wish to be delivered to their lawn from doing so. We receive plenty of calls each year from people who cannot figure out why they cannot get their sprinkler system to work properly. The answer? They didn’t take the time to schedule a sprinkler blowout. Typically, there are two place where people’s sprinkler systems are connected. These are either in the basement off your main water line or outside of your home next to the water meter. In the case that your sprinkler system is connected in your basement, a sprinkler blowout is extremely important, as not doing so could end flooding your entire basement. CALL THE PROFESSIONALS AT LAWN CONNECTION NOW! Avoid a hefty lawn care bill by calling Lawn Connection today to schedule a sprinkler blowout. Choosing not to will only lead to numerous headaches, none of which you want to deal with. 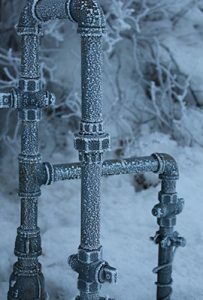 You only have a few weeks left, so save your irrigation system from the cold before winter arrives! 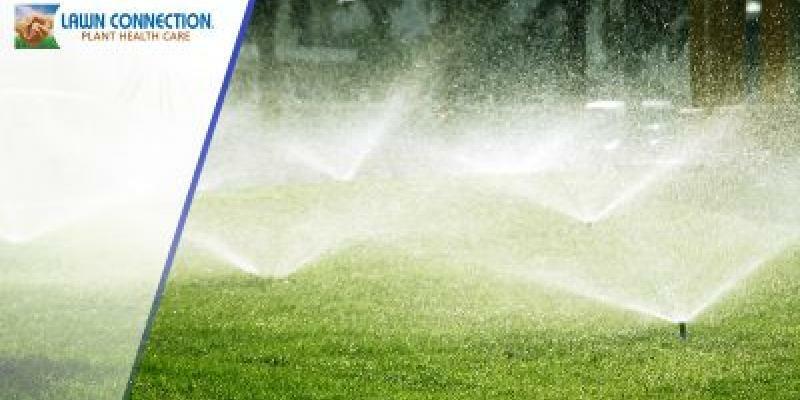 Lawn Connection is your trusted New Jersey lawn care provider, so trust us, a sprinkler blowout is imperative.